Looking for a clothing line that can accentuate your beauty, femininity, and style? 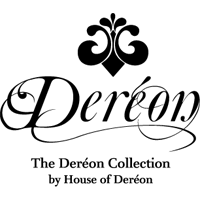 Well there is only one kind of clothing line that can truly highlight your image, and that can only be found within the House of Dereon clothing line collections. Beyonce launched her family's fashion line House of Deréon in 2004 with her mother Tina Knowles. The style and concept is inspired by three generations of women in their family, with the name "Deréon" paying tribute to Beyoncé's grandmother, Agnèz Dereon. When Destiny’s Child first started out, her mother Tina would design and sew their outfits because the group did not have much money or access to designer clothing. First introduced on the Oprah Winfrey Show, The Dereon Clothing line mixes hip-hop influences, with ultra feminine flourishes like embroidery and ruffles. Beyoncé has an active role in the house of Dereon design department, approving and discussing fashion designs and ideas. According to Tina Knowles, the overall style of the line best reflects Beyoncé's taste and style.